These entrepreneurs dedicate their businesses to a very specific niche. They follow the adage “The Riches are in the Niches”. Welcome to Week 24 of The Daily Grind Business Podcast Weekly Summaries. Each week the interviewees impart their wisdom by sharing their experiences. Learn from them. To connect with them and to receive some free information please click on the links below. 1. 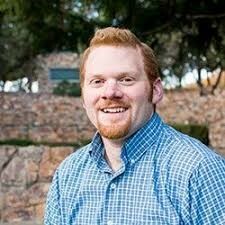 AJ Wilcox is a long-time digital marketer who fell in love with the LinkedIn Ads platform in 2011. 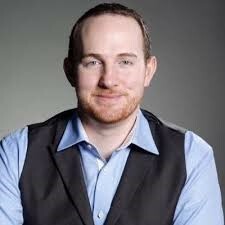 He founded B2Linked.com in 2014, which specializes in LinkedIn Ads account management, training, and consulting. 2. 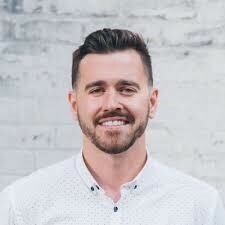 Sam McRoberts, founder & CEO of VUDU Marketing, has been doing web design and online marketing for 18 years, and has extensive experience with search engine optimization (SEO), content marketing, paid search marketing, conversion optimization, and social media marketing. He has done work for hundreds of companies such as HTC, Microsoft, Nokia, Getty Images, HostGator, Goodreads, Scholastic, and Shane Co.
Sam is the author of Screw the Zoo (#1 Amazon best seller in self-help), a book about escaping from the mental and societal cages that keep us trapped, and writes for Inc. and Entrepreneur. 3. 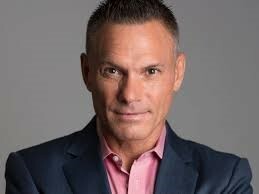 Kevin Harrington is an orginial “Shark” onthe hit TV show Shark Tank, the creator of the infomercial, pioneer of the As Seen on TV brand, and co-founding board member of the Entrepreneur’s Organization—Kevin Harrington has pushed past all the questions and excuses to repeatedly enjoy 100X success. His legendary work behind-the-scenes of business ventures has produced well over $5 billion in global sales, the launch of more than 500 products, and the making dozens of millionaires. Twenty of his companies have each topped $100 million in revenue. 4. 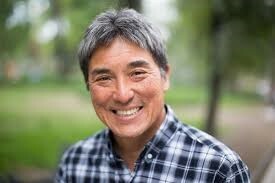 Guy Kawasaki did not invent secular evangelism, but he popularized it. This goes back to 1983 and his work with the Macintosh Division of Apple. He is currently the chief evangelist of Canva, an online, graphics-design Company from Australia. 5. Peter Reitano is the Co-Founder and CEO of Abacus Agency. He is an Agency side marketing veteran with 10 years in the industry. Built and sold Spark Marketing, teaches digital marketing at Bitmaker Labs, mentors at Futurpreneur, and regularly speaks at conferences and industry panels around the world. Marketing is the oxygen to your business. Colin spoke to 3 entrepreneurs who found their niches in the marketing world – Facebook, LinkedIn and SEO. They provided some great tips and resources for you. A beautiful Website doesn’t matter if no one can find it! But you cannot start advertising or even start pitching your business idea to investors if you cannot answer the question “What do you do” clearly and succinctly.